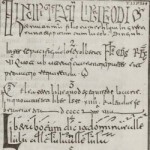 Prof. Susan Boynton, historian of medieval music, liturgy, and monasticism, and faculty in the Music Dept., presents a lecture titled “The Visigothic Script in the Age of Print: Politics and the History of Paleography“, on Thursday, 9/20, from 6 – 7:30 pm, as part of the “Book History Colloquium“, presented by the Rare Book and Manuscript Library. For further details on the event and on the series, see the home page of the Book History Colloquium. This entry was posted in Announcements, Events, Faculty and tagged Announcements, Events, Faculty on September 20, 2012 by Nick Patterson. 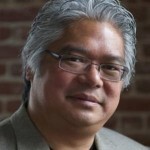 The Center for Jazz Studies presents Prof. Kevin Fellezs, giving a talk titled “Vital Transformations: Fusion’s Young Discontents”, on the early history of fusion music and its relation to jazz. For full details, see this link. This entry was posted in CU Community Performances, Faculty and tagged CU Community Performances, Faculty on March 19, 2012 by Nick Patterson. 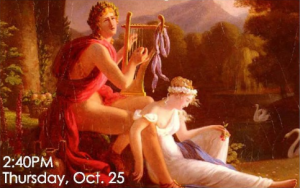 “Art of the States” is an interesting website, showcasing American composers and performers, and providing streaming audio (in RealPlayer format) of many works. You can search by composer, performer, instrumentation, time period, or genre. There is also an extensive list of links related to composers, performers, labels, and publishers (it is somewhat buried, under “About Art of the States>>Resources”). The site also offers some interesting feature presentations, which cover some aspect of music in the collection. For example, the most recent feature offers composer John Harbinson providing an overview of his String Quartet No.3. This item dates from May 2008, so it appears that updates are infrequent. RSS feeds are offered on the website, allowing users to subscribe and be notified with updates when new content is added to the site (for a good intro to using RSS feeds, see this link). One feature of interest to composers and performers is that the site accepts submissions, for inclusion on the website, and for distribution via broadcast radio networks. Note that Music Dept. faculty Fred Lerdahl and Arthur Kampela have works included on the site. Take a listen! This entry was posted in Audio, CU Community Publications, Faculty, Recordings and tagged Audio, Faculty, Recordings, Recordings by Columbia Community, Resources on January 10, 2009 by Nick Patterson. Music faculty member George Lewis has work on display (audition?) at the Studio Museum in Harlem. The piece is titled “Travelogue”, and runs through March 15, 2009. Check it out – details are here! Lewis’s Travelogue is designed to create an environment that is influenced by the Studio Museum’s native sounds. It is not music so much as a sound composition. The sonic scenes do not impose, but blend and harmonize with the listener’s space. Travelogue is the work of an artist whose most famous creation was powered by programming and ideas of digital subjectivity turning his creative eye to simplicity, and producing something of wondrous complexity. This entry was posted in Events, Faculty and tagged Events, Faculty on December 18, 2008 by Nick Patterson. 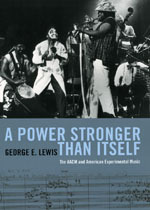 Prof. George Lewis, the Edwin H. Case Professor of American Music, and Director, The Center for Jazz Studies at Columbia University, has a new book out: “A Power Stronger Than Itself: The AACM and American Experimental Music” (University of Chicago Press, 2008). The book is available in CLIO under call number ML3508.8 C5 L48 2008. Check it out! This entry was posted in Faculty and tagged Faculty on May 28, 2008 by Nick Patterson.